According to the World Bank, poverty continues to fall in Cambodia. In 2017, the poverty rate was close to 14 percent compared to 47.8 percent in 2007. About 90 percent of the poor live in the countryside. While Cambodia has achieved the Millennium Development Goal (MDG) of halving poverty in 2009, the vast majority of families who escaped poverty were only able to do so by a small margin. Around 4.5 million people remain near-poor, vulnerable to falling back into poverty when exposed to economic and other external shocks. Young girls are at particular risk of human trafficking, child prostitution and substance abuse. Upwards of 20,000 children work the streets of Phnom Penh alone, and 670,000 children in the country are orphans. Cambodia’s long history of violence has resulted in poverty and despair for its people. Rural children’s access to education and reducing secondary school dropout rates will help Cambodians reach their full potential. On Jan. 31, 2017, Salesian missionaries held an opening program to officially launch new structural improvements to increase the accessibility for students with physical disabilities attending Don Bosco Technical School Kep (Don Bosco Kep) in Kep City. The improvements to the school were made possible by a January 2015 grant from the Office of American Schools and Hospitals Abroad at the U.S. Agency for International Development (USAID) to help facilitate this work. Don Bosco Kep began welcoming students with disabilities in 2013, but school administrators knew that the campus was not as accessible as it could be for the new students to access all of their classes. Often students would have to rely on their friends for assistance getting to classrooms on higher floors and into dormitory living, making them feel like a burden. With the 2015 USAID funding, Don Bosco Kep made modifications to the school, including the installation of elevators in the main buildings, the construction of ramps to access areas for community gatherings and the creation of a student and teacher residence with all of the modifications that will allow those with physical disabilities to live and attend school independently. The funding also supported creating accessible bathrooms and the purchase of equipment to aid the learning environment for youth with disabilities. In a country where less than half of children finish primary school, Salesian missionaries have long been working to provide greater opportunity, operating 45 schools in poor, rural villages through a partnership between Salesian Missions and the Ministry of Education. Salesian missionaries also operate seven vocational training centers so that youth can develop skills that lead to long-term employment and productive lives. More than 50,000 children have received the encouragement and support needed to complete elementary education through the Don Bosco Children Fund since its inception in 1992. The Don Bosco Children Fund assists poor youth between the ages of 6 and 15 who are either unable to go to school or have had to drop out due to poverty. Through the program, youth not only receive support to continue their education, they also receive a monthly assistance package consisting of goods and cash. Social workers ensure that youth make progress and remain in school, and those with special aptitude are further supported and encouraged to pursue college coursework. The Don Bosco Children Fund also operates both a primary and secondary school in Battambang with a focus on making sure young girls have access to education. At another location, Don Bosco Kep provides basic, secondary and technical education to poor youth living in the Cambodian provinces of Kep, Kampot, Takeo, Ratanakiri and Mondolkiri. 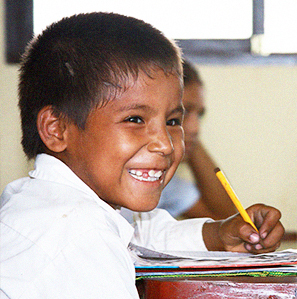 The school’s educational and social development programs help students break the cycle of poverty and become contributing members of their communities. Don Bosco Kep provides special attention to children and young people from ethnic minorities, persons with disabilities, orphans and at-risk youth in danger of becoming victims of human trafficking, labor exploitation or other abuses. Salesian early education and technical training helps to ensure that youth have access to the education and advanced training needed to find and secure long-term employment. For example, at Don Bosco Kep, Salesian missionaries provide basic, secondary and technical education to poor youth living in the Cambodian provinces of Kep, Kampot, Takeo, Ratanakiri and Mondolkiri. Don Bosco Kep provides special attention to children and young people from ethnic minorities, persons with disabilities, orphans and at-risk youth in danger of becoming victims of human trafficking, labor exploitation or other abuses. Don Bosco Kep is constantly expanding its services. In October 2011, courses in social communication and journalism, front office management, housekeeping and tailoring were added to the technical school. In October 2012, an electrical department opened and information technology and language classes began. A year later, the technical school again expanded to include coursework in culinary arts, agriculture, food and beverage, art communication and office administration. In addition, Don Bosco Kep developed a small farm to better serve the needs of poor and disadvantaged youth in the region. The new farm will help to support the work of the agricultural department, which serves to train Cambodian youth in mechanical agriculture while producing food for the technical school to aid its sustainability. Since 2011, the agricultural department has worked with limited resources on a small piece of land inside the school’s campus. Over the past several years, the department has been growing with the addition of more teachers and students and has been making a broader social impact in the regions of Kep, Kampot and Takeo. At the Don Bosco Technical Institute Salabalath, located in Battambang, education focuses on agro-technical education as a means to teach youth new and modern farming techniques to help them develop the skills for later employment. The institute includes a well-established farm adjacent to the school building that specializes in seeds, rice production and raising animals. Farming students learn new agriculture skills in the classroom and are able to put those skills to use during hands-on practice on the farm. Youth attending the Don Bosco Technical Institute are supported by the Don Bosco Children’s Fund. The Don Bosco Children Fund assists poor youth between the ages of 6 and 15 who are either unable to go to school or have had to drop out due to poverty. Through the fund’s program, youth not only receive support to continue their education, they also receive a monthly assistance package consisting of goods and cash. Social workers ensure that youth make progress and remain in school, and those with special aptitude are further supported and encouraged to pursue college coursework. The Don Bosco Children Fund also operates both a primary and secondary school in Battambang with a focus on making sure young girls have access to education. In Cambodia, education for girls opens doors to opportunities. With even a basic education, girls are better equipped to face the daily dangers of human trafficking, child prostitution and substance abuse. Today, more than 2,000 girls who live in poverty have access to basic education and continued vocational and technical training — bringing the possibilities of jobs and independence within reach. Hundreds of students at four specialized schools for young women are opening new doors for themselves by developing secretarial skills and skills in printing, electronics and sewing. 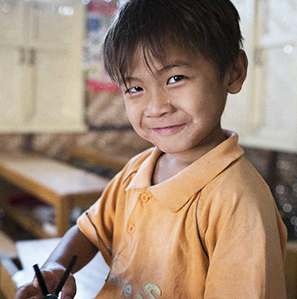 The Don Bosco Children Fund operates a multifunctional center for children in the city of Sihanoukville. The center includes a kindergarten, nursery, daycare center and shelter. The goal of the center is to provide services to vulnerable women and children who are most at risk of exploitation, human trafficking and crime while living on the streets within the city. The need for such support was so critical that before construction was even complete on the new center and its services made public, mothers lined up to enroll their children. Already, the kindergarten class has 15 children with 10 more in the nursery and two living at the shelter full-time. According to Brother Roberto Panetto, coordinator of the center, many of the children entering the program suffered some form of physical and/or emotional neglect. Some children accessing services had never been vaccinated and were sick upon arriving. Others had been living on the streets with single mothers addicted to drugs or alcohol. One 10-year-old girl could not read, write or count. Without meaningful intervention, all of these children would have been at high risk for exploitation. The Don Bosco Children Fund operates both a primary and secondary school in Battambang with a focus on making sure young girls have access to education. In Cambodia, education for girls opens doors to opportunities. With even a basic education, girls are better equipped to face the daily dangers of human trafficking, child prostitution and substance abuse. Today, more than 2,000 girls who live in poverty have access to basic education and continued vocational and technical training — bringing the possibilities of jobs and independence within reach. Hundreds of students at four specialized schools for young women are opening new doors for themselves by developing secretarial skills and skills in printing, electronics and sewing. The Don Bosco Children Fund operates a multifunctional center for children in the city of Sihanoukville. The center includes a kindergarten, nursery, daycare center, and shelter. The goal of the new center is to provide services to vulnerable women and children who are most at risk of exploitation, human trafficking and crime while living on the streets within the city. Don Bosco Kep completed a water system and sanitation project on its school grounds. The project entailed a new well, a water filter, new irrigation and a water treatment plant, in addition to new sanitation facilities. The water project is providing appropriate sanitation and fresh drinking water for 350 students and teachers on campus, as well as providing clean water for farming, fishing ponds and cooking. The addition of the new water treatment facilities is also preventing ecological contamination. At Don Bosco Technical School, the recent Mary Help of Youth Water Tower is part of the water system project. Its construction will guarantee water for this large educational community for years to come. Most people in the region utilize well water and this tower, constructed by a group of volunteers, will go significantly deeper than the average well and has two reserve tanks to hold additional water. Using green technologies, the water pump is generated by installed solar panels. Students in Salesian programs across Cambodia have access to better nutrition thanks to an ongoing partnership between Salesian Missions and Rise Against Hunger, an international relief organization that provides food and life-changing aid to the world’s most vulnerable. A recent rice-meal donation, which also included Sawyer water filters, was shared with Don Bosco Technical School and Don Bosco Hotel School Sihanoukville, Don Bosco Technical School Kep Province, Don Bosco Technical School Phnom Penh and Salesian Cooperators Center Takeo Province. More than 3,700 beneficiaries involved in programming supported by the Don Bosco Foundation of Cambodia have access to better nutrition thanks to a partnership between Salesian Missions and Rise Against Hunger, an international relief organization that provides food and life-changing aid to the world’s most vulnerable. The donation was shipped in the third and fourth quarters of 2018. The rice-meals were distributed to programs connected to Don Bosco Technical & Hotel School Sihanoukville, Don Bosco Technical School Phnom Penh and Don Bosco Technical School Kep. Included in the total number of beneficiaries were 1,100 vocational and technical students at the schools who are studying to gain the skills and experience for long-term employment. The Salesian schools provide technical skills for young people from poor families and also offer boarding for those who find it difficult to rent a room on their own outside the school. The Don Bosco Foundation has signed a partnership agreement with Schneider Electric’s Cambodia office for the company to supply electrical energy and the construction of a solar-powered water pump at the Salesian Technical School of Phnom Penh. The agreement is a first step toward further collaboration that aims to also involve the electrical training departments of the Salesian centers of Poipet, Sihanoukville, Battambang and Kep. Schneider Electric, a European multinational corporation that specializes in electricity distribution, automation management and the production of installation components for energy management, has partnered on several initiatives with Salesian programs around the globe. Schneider Electric’s contribution to Salesian programs means significant support in technical-educational projects including a contribution to the latest educational programs in the electrical sector, improved equipment, and ongoing training for both teachers and students. The project also introduces a source of sustainable energy via the solar-powered water pump to the Salesian community. In addition, youth with disabilities attending Don Bosco Technical School in Kep City have wheelchairs and a new elevator thanks to Salesian Missions donors. Don Bosco Kep has been in the process of making broad changes to ensure that students with disabilities are able to access education. In addition to these donations, in January 2015, Don Bosco Tech was awarded a grant from the Office of American Schools and Hospitals Abroad at the U.S. Agency for International Development (USAID) to make changes to the school’s buildings and dormitories to ensure they are accessible for students with physical disabilities. The school has also received funding to aid this construction from Don Bosco Bonn and the Sawasdee Foundation. The Don Bosco Children Fund provides services and support for AIDS orphans and children affected by HIV/AIDS in Phnom Penh, the capital and largest city of Cambodia, and surrounding areas. More than 840 youth are receiving education and health services as a part of the fund’s Project HIV/AIDS. Through Project HIV/AIDS, the Don Bosco Children Fund aims to provide holistic and proactive programs on primary health care and education, improve children’s health and welfare with antiretroviral therapy, and encourage public awareness and community involvement.